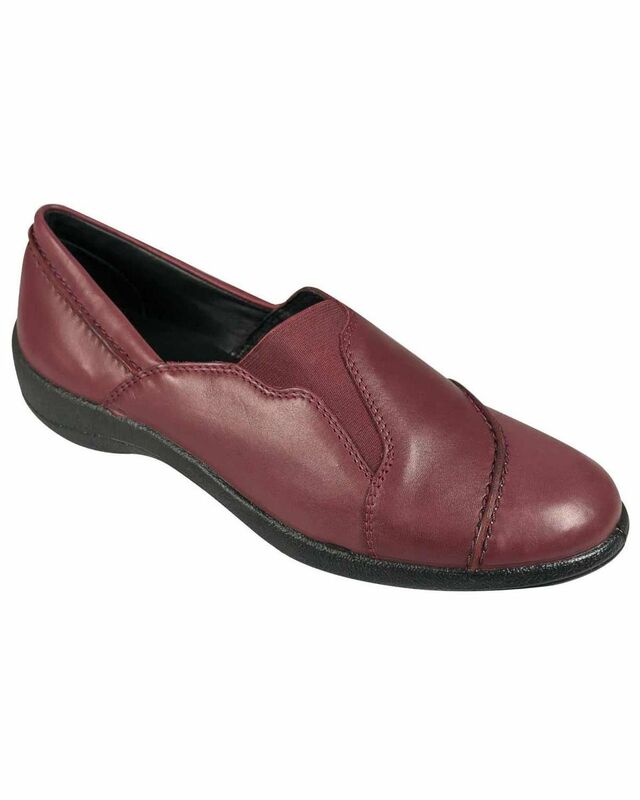 classic style women's slip on shoes. Sizes 3-8 inc half sizes. 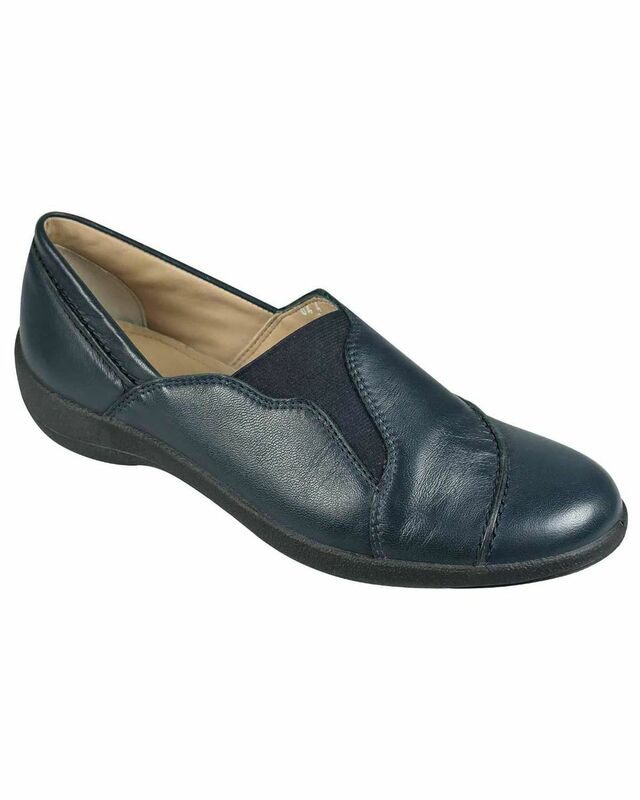 Buttersoft leather slip on style with side elastication for comfort. Cushioned, man-made sole with 1” heel. E fit. Navy , Wine.